We have 25 years experience of racket sales and re-stringing 4 qualified racket technician currently certified by UKRSA ( UK racket stringers association ) and EURSA ( European Racket Stringers association ). We also have a professional membership of USRSA and will be in this year's Tennis Industry handbook as well. 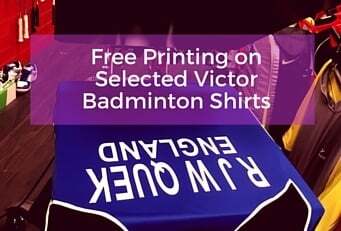 I have also strung on tour for manufacturers such as Victor of Germany and most recently for the GB, Korean National Team at the All England Championships in Birmingham in 2016. Through professional membership, I have access to a wealth of racket stringing resources such as patterns and racket tuning guides which are only available to professional members. Technical literature on the latest development in racket technology, top professional racket and stringing use as well as bespoke racket customisation. With these tools, I am able to offer unparalleled customer service and product knowledge. With 6 other staff who are also qualified racket stringers and together we have the capacity to deliver 20-25 rackets per day if needed. Currently, through our Racketline shop, we string between 80-1000 rackets per week with much of the work coming from personal referrals. Open 7 days a week, all year round, with a customer on site parking. Offering a re-stringing while you wait for service. Great deals, competitive prices, and impartial advice. Our demo trial period of 1 week, gives our customers the chance to take home and try a racket, before making a commitment. Over 500 square foot of retail space devoted to everything you need for racket sports – it provides expertise and knowledge and the chance to try rackets out in the Demo Room against the hitting wall, before buying! There is an excellent range of products including the brands – Head, Babolat, Wilson, Prince, Dunlop, Asics, Victor, – and access to huge ranges of stock and special offers, which are then passed onto our customers – be they professionals, coaches, club players, or simply children.